French Montana's philanthropic efforts in Africa have been well documented and it doesn't look like he will be stopping anytime soon. On Saturday (Aug. 25), the Bronx rapper shared the video for his "Famous (Remix)" featuring Adam Levine. Proceeds for the song will be donated to a Ugandan hospital. The video is sans French and Adam and shows native Africans dancing to the track in different scenarios. "Yeah, fame is a lie/Nothing that money can buy," Adam sings to open the track. "Means more than this/Yeah, yeah/You wanna be under the lights/So dance under the sky/Now with me." French's verses remains the same as the original. "I hope no one discovers you/Hope no one sees her/I hope no one falls in love with you/I've got my reasons," he croons. As previously mentioned, the new song is deeper than rap. 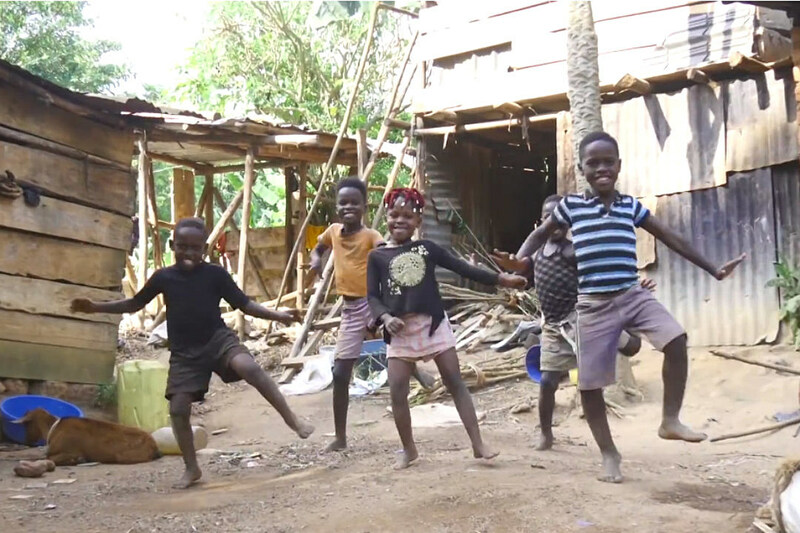 French is donating proceeds from the digital downloads of the track to the Suubi Center, a previously-struggling maternity and children' health clinic in Uganda. The progress has been noted on the rapper's YouTube page. "Two other hospitals in the region were recently shut down therefore Suubi has the potential to serve hundreds of thousands of additional people with continued resourcing," the description for the video reads. "The proceeds from 'Famous' Remix will allow Suubi to expand construction and access to water which will ultimately provide health access to thousands more families across the country. Because of the incredible impact French has had, and the quality of services Suubi has been able to offer, their footprint has expanded: -This year, Suubi will be working with a population of over 450,000 people. -Many of their unique services are the only ones offered in the region. Through smart social entrepreneurship, French and team’s funding has enabled Suubi to jump it’s locally generated income from 31% to 56%. Construction is in progress on the main hospital block, mini-theater / antenatal ward, bathrooms, staff houses and more. Just this week alone Suubi immunized 1,500 people." French helped facilitate the opening of the hospital with some hefty donations back in March. Check out the video for French Montana and Adam Levine's "Famous (Remix)" below.